Morley Callaghan (1903-90) was one of Canada’s most distinguished writers. Many of his acclaimed short stories, too, were influenced by his love of sport. 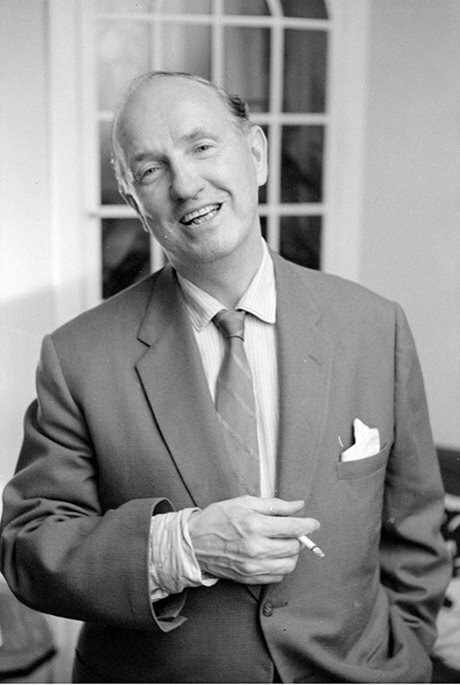 While attending St. Michael’s College at the University of Toronto, Callaghan worked as a reporter for the Toronto Star newspaper alongside literary great, Ernest Hemingway. After graduating with a Bachelor of Arts and law degrees, Callaghan published his first novel in 1928. The following year, during his honeymoon in Paris, Callaghan fought in a boxing match against Hemingway (fellow author F. Scott Fitzgerald was in the audience). The fight is portrayed in Callagahan’s most famous work, A Summer in Paris (1963). Other Callaghan works influenced by sports include: A Cap for Steve, about a boy’s love of baseball and pride in a team hat; The Lucky Lady, about a couple betting at a horse race; Loppy Phelan’s Double Shoot, about a local baseball star; and The Chiseller, about a young boxer and his father. Visit the Heritage Toronto plaque on Callaghan at the south end of Glen Road in Toronto, Ontario. Read more about Morley Callaghan from the Editor Eric website. Listen to a CBC Radio program that focuses on Morley Callaghan.